What do we know about the outcomes of education in developing countries? Where are the gaps in our knowledge, and why are they important to fill? What are the policy challenges that underlie these knowledge gaps, and how can education best contribute to eliminating the problem of widespread poverty in the developing world? 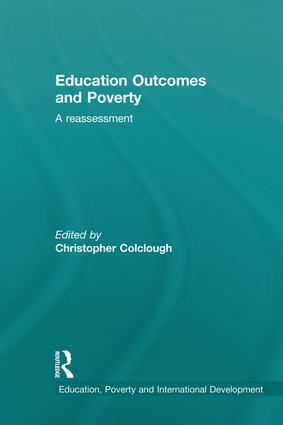 This book arises out of a five year, DFID-funded programme of research examining the impact of education on the lives and livelihoods of people in developing countries, particularly those living in poorer areas and from poorer households. Based on highly innovative research that addressed common research questions across four countries in Africa and South Asia, the book presents new theoretical and empirical knowledge that will help to improve education and poverty reduction strategies in developing countries, through an enhanced recognition of education's actual and potential role. This book will appeal to undergraduate and postgraduate students and researchers in the fields of international and comparative education, education policy, development studies, African and Asian studies and related disciplines, and to those working on education policy at national or international levels in governments and international institutions. Education has an extraordinarily important role to play in efforts to eliminate poverty world-wide. This book reveals the nature and complexity of these relationships and provides indispensible pointers to the kinds and extent of policy changes that are required. Christopher Colclough is Commonwealth Professor of Education and Development, University of Cambridge, UK, and Director of RECOUP, 2005–2010.